Our last entry in the 2nd ed AD&D Complete Class Handbook Character Sheets is the Wizard. And unlike The Priest, or the Thief, we actually have some sheets this time! OK, well we kind of have some sheets this time. 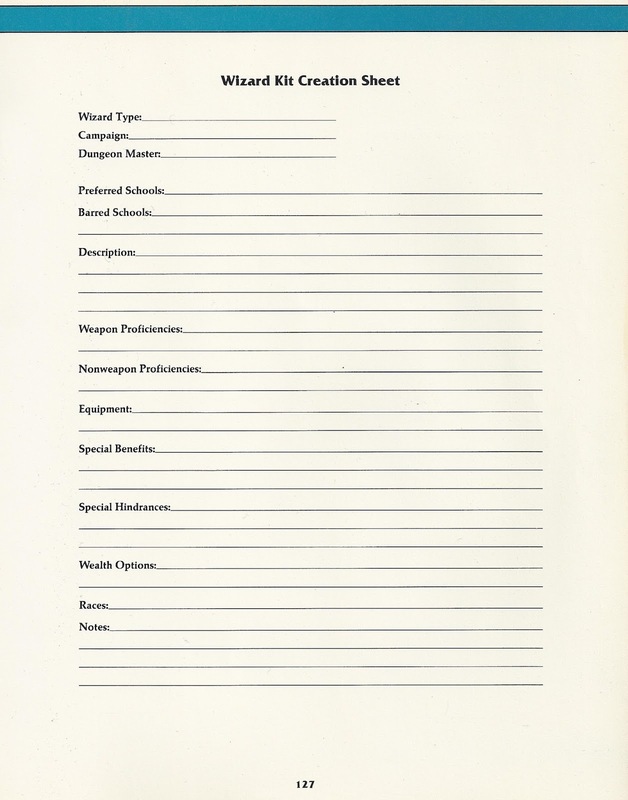 We don't have a full sheet, where you can record your character. Which certainly is a shame, and as I said about the priest; you would think a magic using class would benefit from a class specific sheet. Perhaps TSR's lack of funds at the time is to blame. So, instead of a full sheet, we have a Magic School Creation Sheet, and a place to record your Character Kit. Which are pretty neat. The Magic School Creation Sheet is actually pretty useful and I like how it gives you a standardized way to create your own school of magic in the game. 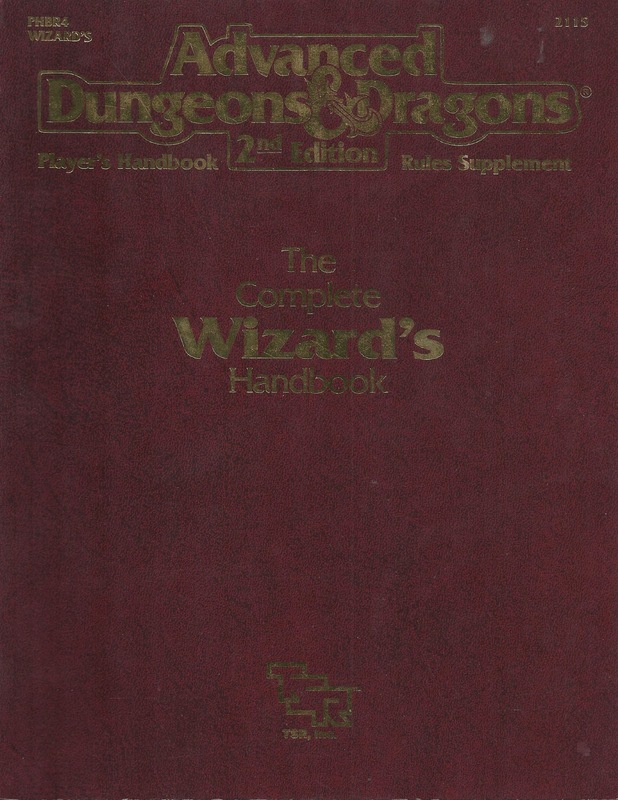 However, doesn't it seem odd that this is included in what is essentially a Player's Handbook? I get that a Game Master might want to modify the rules and add in their own unique magic types and that it makes sense to give a sheet to your players. However having it in a player's handbook almost seems to say they can make up their own magic. And I am not sure if I would want my characters doing that off on their own. 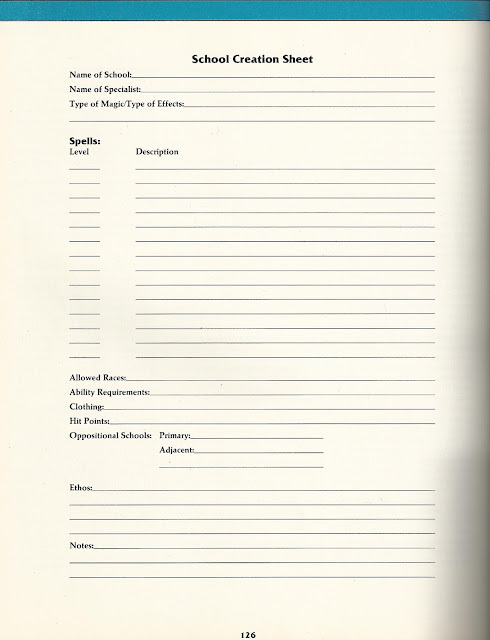 And of course our last page is a Character Kit Page. Just like the others, this page lets you create your own custom kit, or (and what I think is more useful) gives you enough space to record all the information for your kit. Which in 2nd Ed can be a lot. 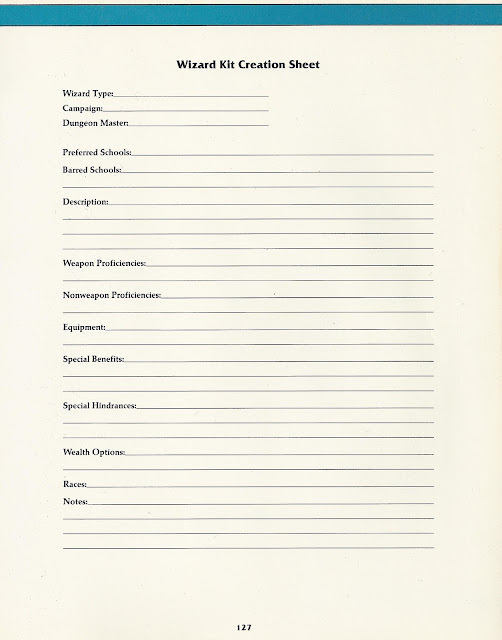 And that ends our look at the 2nd ed Character Sheets from the Complete Class Handbooks. We have seen some really interesting pages and sheets that I am definitely going to use in my own games. And of course I will be sure to share any other character sheets tat I find for D&D and the other games we play!